Signs That You Need to Replace your Patio Doors | PM Windows ""
Want to sit on the couch next to your window or patio door, but that uncomfortable draftiness is just too difficult to ignore? Well, the quality of your windows and doors determines the quality of insulation and proper heat transfer. So, the first sign for window and patio door replacement is draftiness. Besides creating an uncomfortable living environment, unwanted drafts increase the energy bills as you start turning on the heating system more often. People say that age isn’t an issue, but it definitely is for doors and windows. Some patio entrances which are made from wood might not be in need of replacement, but of a simple repainting or clean up. Nonetheless, giving that worn out look some attention will provide you with new information about the condition of your patio doors. Bad weather conditions and insufficient maintenance usually shorten the lifespan of insulation material resulting in worn out looks and scratches or cracks. From basement floods to leaky roofs, water has sure provided a lot of hassle for homeowners. One of the damages that water can do is increase humidity levels, therefore, mold growth and allergies or asthma attacks. If even one of your doors and windows isn’t doing their job right, wall cracks and leaks will start invading your home’s foundation making it weaker than one could ever imagine. So you should do patio door or window replacement if you find water leaks, cracks or mold around the frames and interior condensation on the glass. Doors are made for being easily operated, that is one of their main qualities and if yours don’t, immediately contact the experts to check what sort of damage has occurred to them. Sometimes we can tight the seal a little bit too much and if done frequently it can result in loose locking systems. Another reason why your patio doors are difficult to operate is dirt and debris build-up. Before you decide on a replacement, make sure you thoroughly clean them. 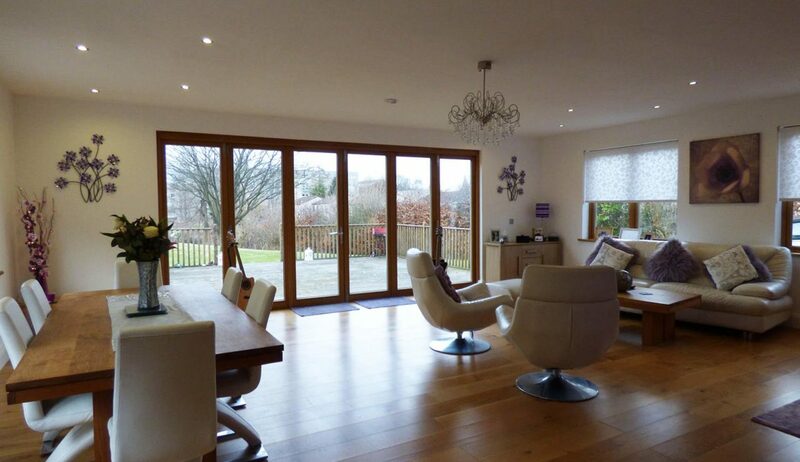 Apart from reducing practicality and comfort, patio doors can also reduce on aesthetic value. If they don’t compliment the home the way they used to – it is time for a change. Renovating entrances is also good according to feng-shui as it lets new fresh memories to enter your home and therefore life. If your budget is tight at the moment, a simple repainting job will do the trick and keep your interior up to date.